COMMUTER omnibus operators in Bulawayo have decided to maintain an all round fare of $2 for all the commuting distances, saying there is a need to strike a balance between fuel prices and availability as well as fleet maintenance. The Government announced that fares for a distance not more than 10km should be pegged at $1, while for distances of 11km to 20km the fare was pegged at $2 and for 21km and above $3. For long distance transport, a price of 10 cents per kilometre was recommended. 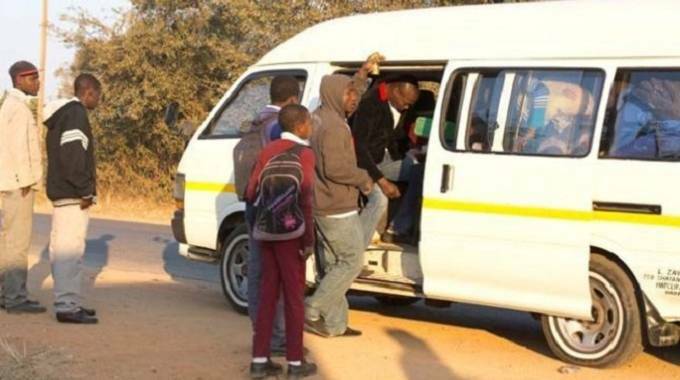 In an interview, Tshova-Mubaiwa Transport Co-operative chairman Mr Atlas Moyo said they were maintaining fares that the Government had stipulated so that they do not inconvenience commuters. “The fares that the Government has recommended are okay. Travelling from suburbs to town fares that were suggested are around $1.50 to $3 but as Tshova-Mubaiwa we have said we will maintain all our fares at $2. For areas that are far like Cowdray Park, Pumula and Nkulumane 12 that were suggested to be charged around $3 we have also vowed to maintain the $2 fare just like other areas as we consider that most people don’t get high salaries and some are not even working,” said Mr Moyo. He said although fuel prices were increased last Sunday that was no reason to overcharge passengers. Bulawayo City Transit spokesperson Mr Daniel Pondo said he was away and was yet to be informed about the fares they would charge as an association.